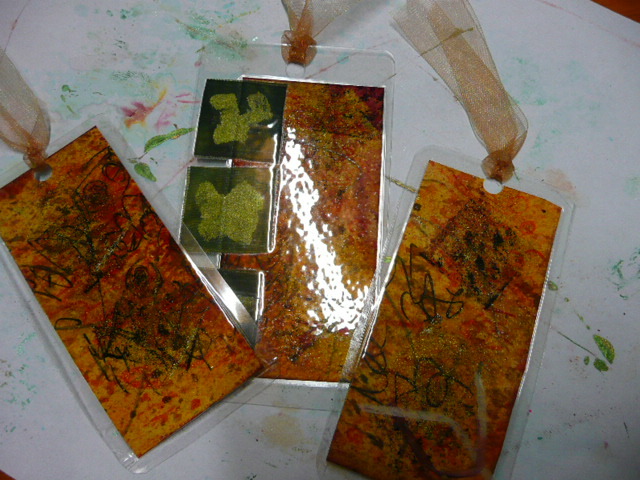 Bookmarks – inspired by Terri Stegmiller’s book. adopted from Terri Stegmiller’s book. Sorry there are not more to show you but my laminator has given up on me. Painting these was loads of fun. More creations from Terri’s book. Painting with watercolours created such interesting images. Using ideas floated by Terri Stegmiller in her book (see my other post), I created these small pieces on watercolour paper. Some of them have become bookmarks which have found their way to my friends. I am thrilled at how easy it was to follow Terri’s instructions and when the weather is warmer I will be getting out the paints again. It is such meditative fun – and – very addictive. Terri Stegmiller’s book brought new ideas to play! 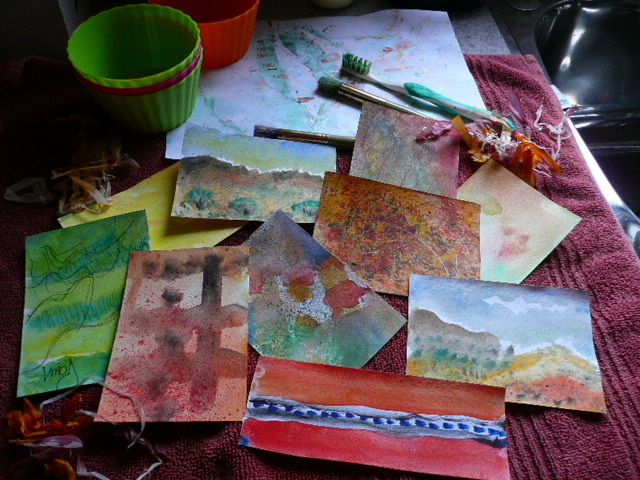 New ideas – using watercolours! 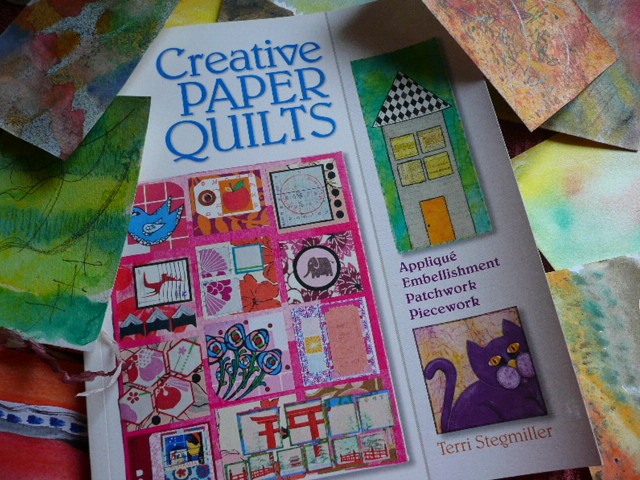 Lucky lucky me – my resourceful quilting friend Brenda, loaned me her copy of Terri Stegmiller’s book to inspire further playtime with paper and paints. This is such a stimulating book – it gave me completely new ideas on how to use watercolours for such interesting effect. Easy peasy to do with wonderful images being produced. As a result some of my friends now have a bookmark to add to their collection. Time starved I was – so the bookmarks ended up being mini sized! 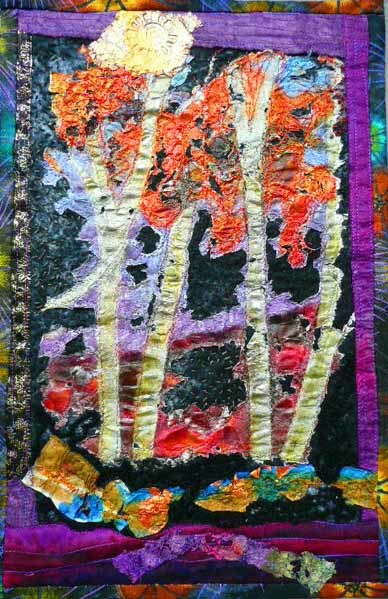 If you want to expand your craft by incorporating paper and paint to your textiles or want to try your hand at making paper quilts, do take a look at Terri’s book. I know Brenda had fun using some of the ideas because I read about it on her blog. Her blog is always such stimulating reading where lots of new ideas are floated…. and I also enjoy reading about her involvement in the Twelve by Twelve challenge. Why not take a look? Just click onto Serendipity and the art of quilts on the right hand side of this page and say hi to Brenda. And…do you know, you can see more of Terri Stegmiller’s work by clicking on Twelve by Twelve. She also has her own website which you can enjoy. The biggest quilt show in the southern hemisphere (and I think the best), has just finished. More than 350 quilts were exhibited during 5 days at Sydney’s exhibition hall. Whilst my two entries did not win a prize, they did rub shoulders with winners . I am pretty happy with that! My two art-quilts were experimental pieces using water soluble paper and paints – this was something completely out of my left field. What do you think of them? 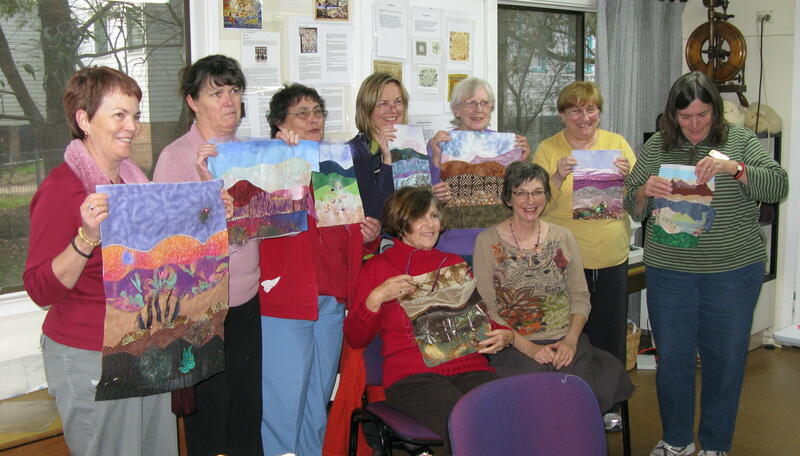 Playtime with Angelina Fibre and incorporating it into a small art-quilt was well received by this group of Central Coast ladies. I taught the differences between hot-fix, standard, and metallic Angelina fibres and how they can be successfully become part of the quilt design. Feed dogs were down and all machines were freewheeling, firstly on samples, to discover how easy it is to sketch with our needles and thread. Then it was time to landscape the pieces together to create a fantasy piece or a more realistic landscape image. This photograph shows my group being very happy with their progress and outcomes from the one day together. I left them feeling much more confident about their ability to continue playing with Angelina and fine tuning their art-quilting. It was also a discovery day for me – I came home feeling very pleased with the progress made and very keen to continue my tutoring endeavours. 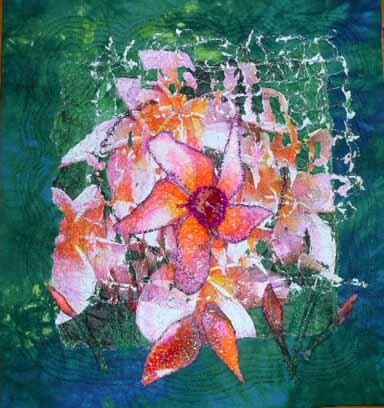 I have realised how much a pleasure it is to teach quilting and textile art. You are currently browsing the Crafty Quilting with Pamela blog archives for June, 2009.